Voice Mail Options for Small to Medium Businesses If you run a small to medium-size business you need a compact and expandable voice mail option that's ideal for what you need today, but perfect for your future requirements. In other words, you should look for a system with room to grow. It should have built-in features, work to your advantage right now and years down the road as well. 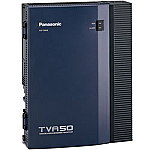 Panasonic, the world-leader in business and residential telecommunications solutions has created exactly what you need with its KX-TVA50 and KX-TVA200 automated attendant systems (made for seamless integration with Panasonic's KX-TD, KX-TDA, and KX-TDE and KX-NCP Telephone Systems). 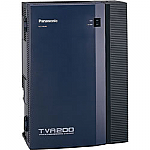 Which TVA system is right for me? 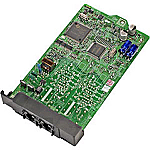 NOTE: Purchase of System Includes Custom Voice-Over AND Programming!